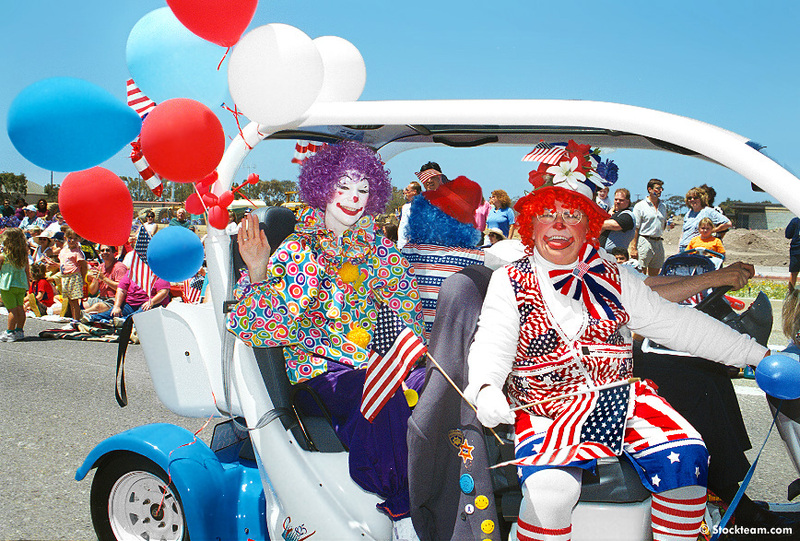 Huntington Beach 4th of July Parade Clowns are a mainstay of the annual event that delights all ages with antics and laughs galore. Huntington Beach's annual parade is over 100 years old and its tradition of entertainment is what makes it so popular. Children of all ages need to lighten up and the clowns at the parade are not scary--they're they happy kind that make people laugh. The parade, itself, it s held each year along Main Street from Downtown Huntington Beach to Civic Center and Seacliff Shopping Center and Seacliff Park where Yorktown intersects Main just past Huntington Beach High School.